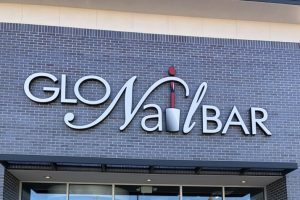 Sign Innovations In OKC Can Create Amazing Signage For Your OKC Business! Get Excellent Exterior Lighted Signage From Sign Innovations In OKC! Our OKC Commercial Signage Experts Stand-By Ready To Help You! Check Out This Exterior Signage We Installed! Let Our Building Signage Experts Put A Sign On Your Building That Looks Cool! We Offer A Great Variety Of Exterior Signage Options For Your Business! Click To Learn More About Our Interior Signage Company! We Are Your Commercial Signage Installer In OKC! Get The Best Vehicle Wraps In OKC With Sign Innovations! Providing Quality Sign Installation/Service & Vehicle Wraps To OKC, Edmond, Moore, Norman & Surrounding Areas Since 1985! Services provided by Sign Innovations in Oklahoma City include: Large format full-color digital printing, banners, vehicle wraps, trade show displays, vinyl graphics neon, channel letters, architectural signs, interior signs, and ADA compliant signs. When you trust your sign project to our Oklahoma City based sign company, you’re working with the most dedicated professionals in the industry. We’ll review the principles and priorities that drive your business, then apply them in executing your sign project accurately, on time, and on budget. Whether you need an interior sign, directory sign, car wrap, neon sign, ADA sign or Tradeshow Display our Signage and Vehicle Wrap Experts will get it done! GUARANTEED!! Our Oklahoma City Sign & Vehicle Wrap Experts are standing by waiting to assist with your next wrap & or sign project!